Learn from an informative, friendly and professional guide and step back in time on a history tour and visit and get amazed with the Witch Doctor at the Municipal Market. Your friendly, knowledgeable tour guide will pick you up at the lobby entrance of your hotel or your cruise ship pier. 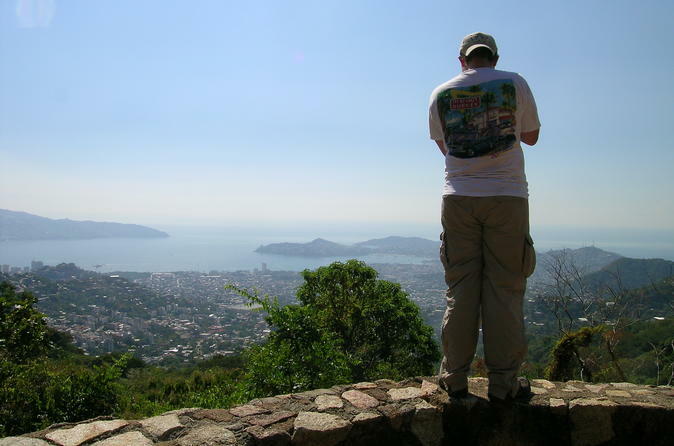 Already on board your tour, you will head towards the hills of Acapulco as your guide explains all there is to know about the history of Palma Sola petrophyphs, learning about the lifestyle of the working class of Mexico and general information about the country. After a visit to Palma Sola that will not last less than one hour and a half, the tour will head to the Mercado Municipal: a really eye-opener. This large Mexican market is fascinating. There will be so much to see—dry goods, housewares, gorgeous flowers, candy, live roosters, fresh produce and much more. Many stalls feature health care products, which were a combination of herbal remedies and Santeria (witch doctor) type spells and prayers to saints. One of these stalls may have a cage full of large live bugs and animals whose purpose you´d prefer not to ask about. Once you have finished visiting the market you will head back to your hotel.